GB Instagram is arguably the best and the most popular modded Instagram App out there. 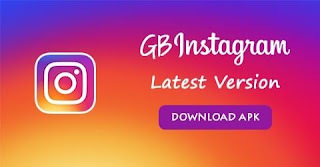 With GB Instagram, you can download any Instagram feed in form of pictures, videos or even stories to your smartphone. Aside that, the app also comes with some other features such as the ability to run more than one Instagram App/account on a single device, option to translate comments to any language you want and many more. Below are the features of GB Instagram. Why is it posted twice, are they not the same?